Detailing the physical features, habits, territorial reach and other identifying qualities of the Coconut Rhinoceros Beetle. The invasive Coconut Rhinoceros Beetle has moved to Hawaii and its fondness for coconut palms could threaten an island staple. The hefty Coconut Rhinoceros Beetle is large and black. An adult male has large horns while a female has smaller, shorter horns. It bores holes into the young, upper fronds of coconut palm trees. It then drinks the sap that is released by the plant's soft tissue. This frond damage reduces coconut production and could kill younger trees. Coconut Rhinoceros Beetles are pests on a variety of other common island plants such as pineapples, bananas, papayas, dates and taro. Larvae feed on mulch and plant debris. The yellowish grubs are also large, growing up to 4 inches long. The Coconut Rhinoceros Beetle is native to Asia, but migrated to the Pacific Island of Guam sometime in 2007. It has done significant damage to coconut tree populations there. 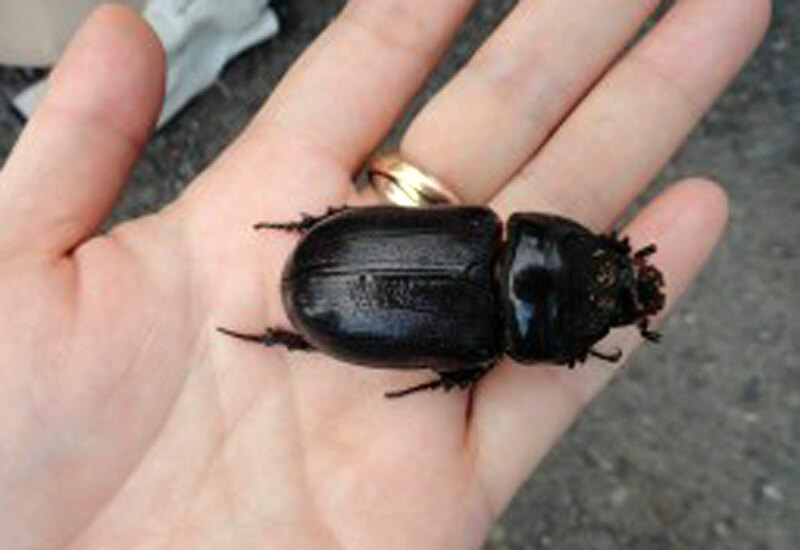 The beetle has now been found on the island of Oahu in the state of Hawaii. Exactly how the beetle arrived on the island is still unclear. Efforts to find, control and, hopefully, eradicate it from the island are now underway. Other Pacific islands infested with the exotic beetle have used deliberate fungal and viral infections to kill adults and stop breeding. Lures and a pest hotline for reporting infestations are a step toward finding and eliminating this new North American destructive pest.